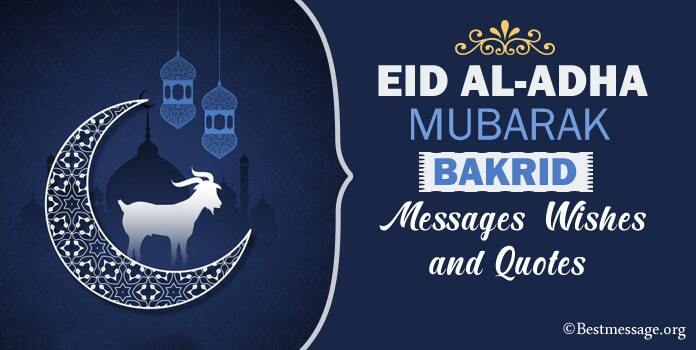 Latest Happy Eid Ul Fitr wishes messages 2018 to wish family and friends Ramadan Mubarak with love. Eid Ul Fitr is the times for everyone to come together and engage in gala celebrations with family, relatives and friends. It an important festival celebrated by Muslims. This day marks the breaking of fast and is celebrated with high energies across the world. 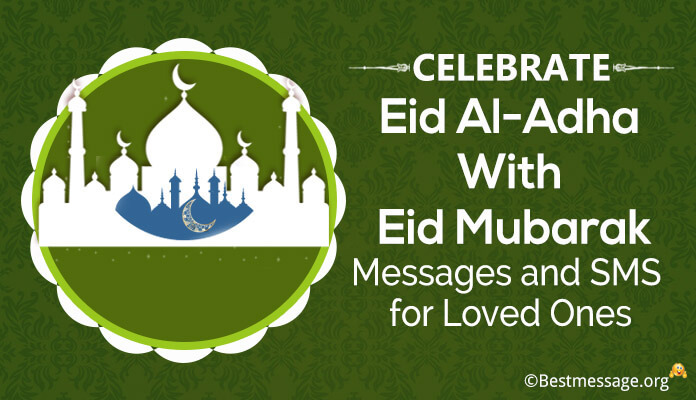 This is the time people engage in big feasts and have wonderful times with their loved ones. 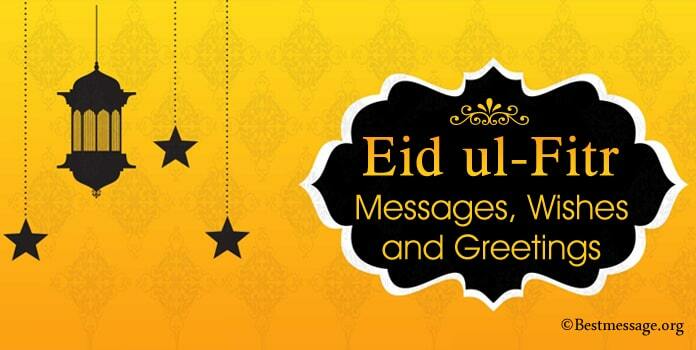 Send beautiful Happy Eid Ul Fitr as the holy month of Ramadan ends. 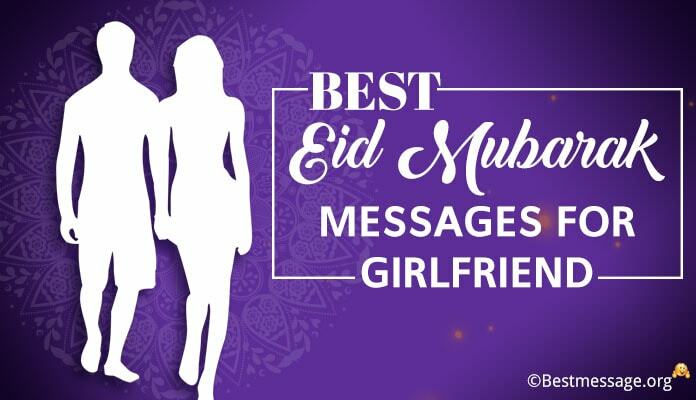 Browse through the latest collection of best Eid wishes text messages in Hindi and English that help you wish Happy Ramadan 2018. 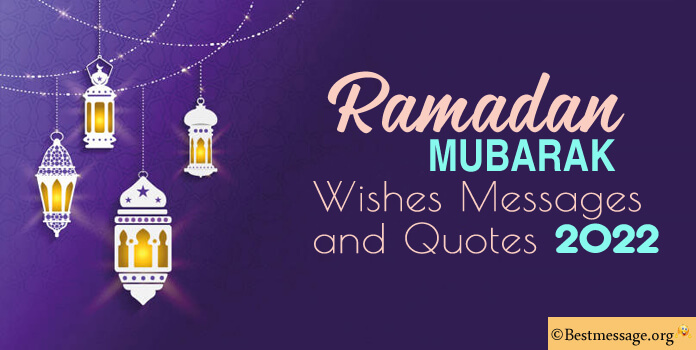 Use these Eid Ul Fitr quotes to 2018 to wish Ramadan Mubarak on Whatsppp. 1). May the Chand of Eid spread brightness and happiness in the darkest corners of your life…. May you are blessed with a prosperous and successful life….. Wishing you and your loved ones a very warm Eid Mubarak. 2). I wish that you enjoy success in all the endeavors and you are blessed with the guidance and protection of Allah….. Wishing you a life showered with smiles and positivity….. Eid Mubarak to you. 3). Time has come to bow our heads and thank Allah for being so kind and loving in blessing us with such a beautiful life…. 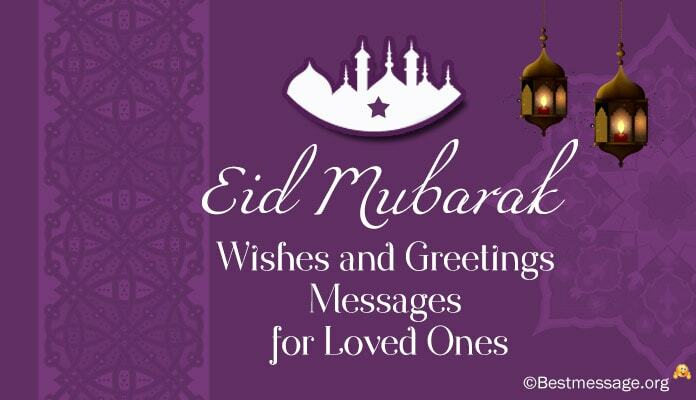 Let us celebrate the festival of Eid by thanking Allah and offering him prayers….. Eid Mubarak!!! 4). May the festival of Eid along delightful moments loaded with treasures of happiness May you are paid for all your hard work with sweetest fruits….Happy Eid Mubarak to you and your loved ones. 5). May your life is blessed with the magic of Eid ul fitr….With every day a happier and more prosperous one…..Wishing you a glorious and successful year……Wishing you Happy Eid ul fitr. 6). May the magical influence of Eid brighten your life with new hope, happiness and lots of joyous moments. May you celebrate this beautiful day with your loved ones. Happy Eid Ul Fitr to you. 7). On the special day of Eid, I send warm wishes to wish you Happy Eid Ul Fitr. I pray that you are blessed with success and prosperity along with great health. Wishing you and your family Eid Mubarak. 8). May the auspicious occasion of Eid bring in your life peace and joy. May all your prayers are answered along with blessings of Allah. 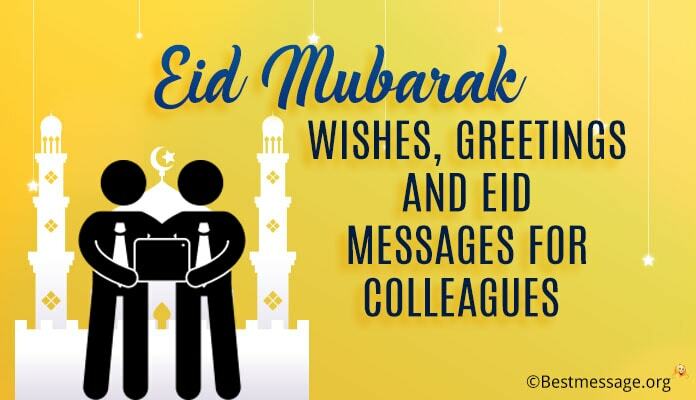 Sending warm Happy Eid Ul Fitr wishes to you. 9). Ramadan ke is mubarak mauke par, yehi dua hai meri ki Allah ki rehmat se bhar jaye aapki zindagi khushiyon se aur apon ke pyaar se. Happy Ramadan to you and your family. 10). Sending best of the best Eid wishes to you and your family as the holy month of Ramadan comes to an end. May you are always smiling and full of happiness and joy. Eid Mubarak to you!!! 11). As the sun sets and day comes to an end, this is the time to come together and celebrate Eid with your family, friends and loved ones. Best wishes to you on Eid Ul Fitr. Happy Ramadan. 12). Eid is the time of time, the time of being together…It is the time to seek blessings from Allah Sending warm wishes to you on Eid ul fitr!! 13). Sending best wishes from far away….Just to tell you that we all miss you on this day of celebrations….Eid Mubarak to you my dear. 14). Let me decorate each and every ray of the sun before it shines bright on Eid….. With happiness and success, prosperity and glory…..Ramadan Mubarak to you! !